The new Anker Soundcore Spirit Pro wireless headphones come on the market with an aggressive price at 50 dollars. The objective? Seducing fitness enthusiasts with simple, practical Bluetooth headphones that are comfortable to use and wear in all situations. Are they a good purchase? Find out in our full review! Anker Soundcore Spirit Pro headphones are quite well positioned in terms of price. They cost 50 dollars, which makes them a particularly competitive product. The Spirit Pro headphones offer a classic design for in-ear headphones. Once you’ve chosen the rubber part that will fit in your ear and the part that will hold the earphones, you’re free to start using them. The installation is easy, although the rubber tips have a tendency to slip out of your ear. Once in the ear, you’ll hardly feel the headphones, but they’re still there. Even over time, the headphones remain very comfortable and secure in your ear. I haven’t encountered any problems while exercising. The headphones are composed of a mixture of plastic and silicone. There are magnets on the edge of the earphones, which allows you to attach the earphones when they’re around your neck. This is a convenient and enjoyable feature and it’s nice to find it on headphones that are sold at this price. It’s also great that they come with resistance against water and dust (IP68 certification) and they come with a small felt bag for storage. When it comes to charging, there’s a mini-USB cable that connects to the plug on the small case. There is also a Plus button to increase the volume (pressing the button for an elongated period of time changes the track), the Minus button decreases the volume (and returns to the previous track) and there’s also a Pause button. The Soundcore Spirit Pro headphones offer surprising audio quality . They provide relatively good sound when you take into account the price. The bass is sufficient without dominating the sound spectrum, and the treble and mid-range remain well represented. On the whole, the sound is well-balanced. That also doesn’t say anything about the maximum volume, which is perfectly sufficient, even when the outside conditions are noisy. There are no distortions to report and the wireless synchronization is perfect. Without an active noise reduction system, the headphones also isolate sound quite well. When making calls, you can manage everything from the small box, where the microphone is also located. The quality of the calls is really good, but unfortunately, the microphone cannot really filter out ambient noise. Because of the price, it was necessary to make some concessions. In addition to IP 68 certification, the Pro version of the Spirit offers an additional two hours of autonomy for around 10 dollars. This allows the headphones to last almost 10 hours in total . To charge the headphones, just use the mini-USB cable provided in the box. I particularly appreciated the autonomy of the headphones. Please make sure, however, that they are properly turned off after use, otherwise the battery will drain. All in all, the Anker Soundcore Spirit Pro offers an excellent price-quality ratio. Of course, the headphones don’t stand out particularly for their performance. It's their price that's really outstanding. They also offer a decent and better musical experience than many of its competitors. Bluetooth headsets also have the advantage of being certified to a practical IP68 standard for your sporting activities. You’ll also enjoy the very satisfactory range. Finally, their comfort and quality of finish are also good points. 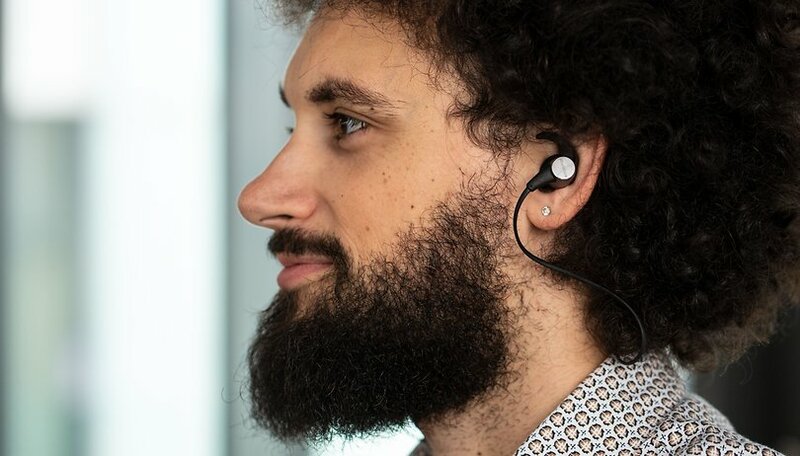 In short, it’s an option to consider for anyone looking for simple in-ear headphones without breaking the bank.